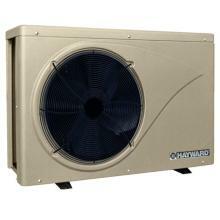 Hayward H-Series Electronic heaters deliver exceptional performance and economy. An electronic ignition system ensures reliable lighting, and – like all H-Series heaters – they feature a Cupro Nickel Finn Plate heat exchanger and Fire Tile combustion chamber. An easy-to-read LED control panel provides digital temperature readout and diagnostics for quick identification of components that might need service. The high performance, energy-efficient Hayward Variable-Speed heat pump quietly and economically maintains ideal water temperature with up to 50% higher energy savings than traditional heat pumps. 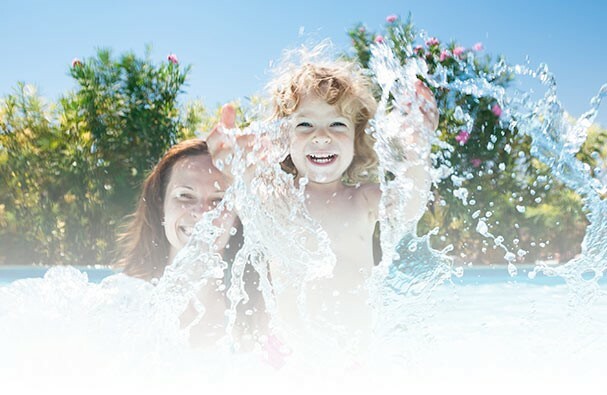 Hayward Variable-Speed heat pumps feature a super quiet Mitsubishi inverter compressor and variable-speed ventilation system, which provides an extremely quiet swimming environment while maintaining the perfect pool temperature. When the Hayward Variable-Speed heat pump turns on it will start at zero and slowly increase to a higher speed, this leads to a stable current and lower energy consumption. 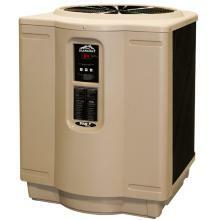 Traditional heat pumps start at a higher current which will lead to higher energy consumption. 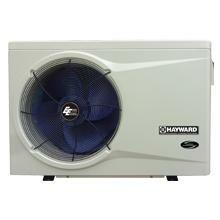 Hayward Variable-Speed heat pumps are designed to operate at low ambient temperatures. Extend the swimming season earlier in the spring and later in the fall. HP40B Heat Pumps by Hayward offer the greatest savings, the best BTU performance, quiet operation and easy installation for years of swimming comfort. 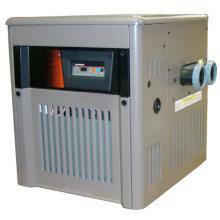 At approximately 55 dB, HP40B heat pumps are virtually silent from a few meters away. Enjoy Your Backyard Without the Noise: The superior quiet operation of an HP40B, HP50B and HP65B1 heat pump lets you enjoy a normal conversation in the serenity of your own backyard. HP50B Heat Pumps by Hayward offer the greatest savings, the best BTU performance, quiet operation and easy installation for years of swimming comfort. 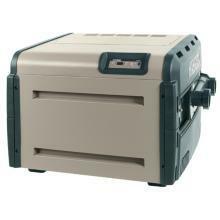 At approximately 55 dB, HP50B heat pumps are virtually silent from a few meters away. Enjoy Your Backyard Without the Noise: The superior quiet operation of an HP40B, HP50B and HP65B heat pump lets you enjoy a normal conversation in the serenity of your own backyard. HP65B1 Heat Pumps by Hayward offer the greatest savings, the best BTU performance, quiet operation and easy installation for years of swimming comfort. 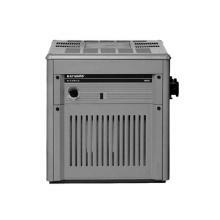 At approximately 55 dB, HP65B1 heat pumps are virtually silent from a few meters away.